For a £3 mascara I don’t expect much, but with MUA my expectations were a little higher as everything else I’ve had from their range has been fantastic – you wouldn’t think they were £1-£4 products!! 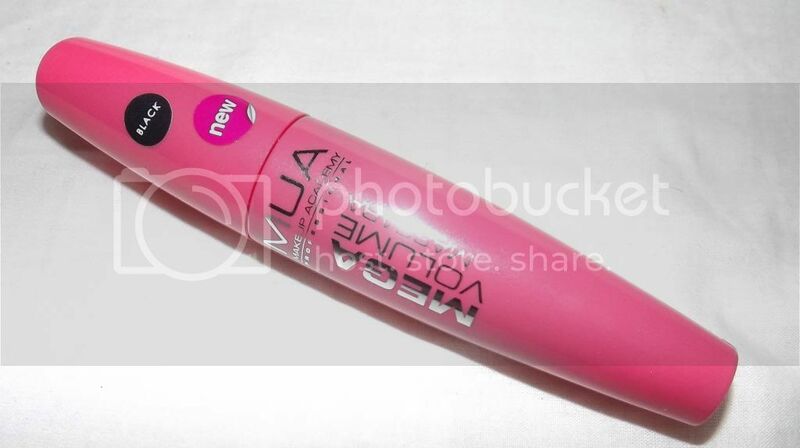 Even better, I got this mascara as part of Superdrug’s 3 for 2 offer! The mascara isn’t too bad, but it isn’t a favourite. It did the job, lengthened my lashes and added a bit of volume yet it took me about 20 coats, I know that sounds excessive, but that is how many coats I needed in order to achieve the look I wanted (in the photos below). I like the have a lot of mascara on and don’t like it to look too natural as my eyelashes are so short! Although despite it taking a long time to get the look I wanted, the mascara isn’t bad for £3 and if you are on a budget, this is probably the one to get although it may end up running out quicker due to the many coats you’ll have to apply! The mascara is long lasting and doesn’t smudge or break off throughout the day – which is brilliant – as I am often wearing my make up for long periods of time when I’m out the weekend or busy at university. Next Post Merry Belated Christmas!